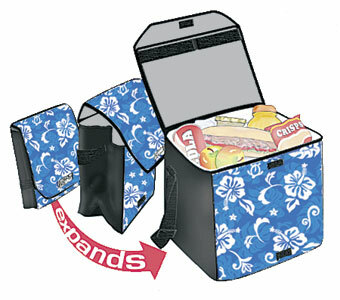 Get noticed at the beach or on a picnic with our Gotta Be Hawaiian collapsible cooler. Keep up to six cans cool in this insulated bag. The water-resistant exterior repels splashes and rain. Comes with an adjustable shoulder strap and folds flat for easy storage.